Hiring an attorney is not as simple as selecting a name out of a phone book. In order to ensure the best results for your case, it’s important to research an attorney’s educational background, years of experience and overall success rate. Your lawyer’s previous win/loss percentage on cases similar to yours may ultimately determine whether or not you receive the most compensation or the biggest settlement possible. To put this in the framework of how to choose a personal injury attorney, check to see that he or she specializes in this particular field of law and can provide you with a list of previous cases in which he or she won an excellent settlement for the client. Achieving the best results for your case will hinge largely on what your lawyer has been able to do for similar clients in the past. If you’re trying to choose among personal injury attorneys in South Dakota, look no further than the Rapid City Law Office of Gregory A. Yates and Michael Shubeck. We have an outstanding court record with regards to the many types of personal injury cases we handle, including motor vehicle accidents, dog bites, product defects, landlord negligence and more. And, since every state has variations of personal injury laws on the books, it’s imperative that you select an attorney who is very familiar with the state in which your injury occurred. Because we have over thirty years of experience as PI attorneys in South Dakota, we are experts on how the system works. When comparing law firms in South Dakota, you’ll find our Rapid City office location stands above the rest. Call for a free phone consultation today, and tell us about your case. 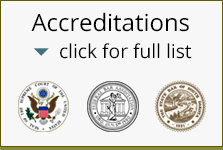 With Rapid City Law on your side, you can relax and trust that we’ll get you the best results.